During the economic boom of the post-World War II era, marketers and advertisers identified adolescents as a major audience, which led to the emergence of a pervasive youth culture. 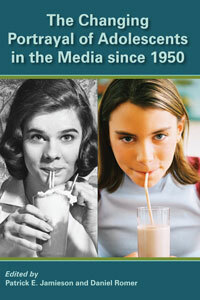 Enormous changes ensued in the media’s portrayal of adolescents and the behaviors they emulate. These changes were spurred by increased availability and consumption of television, which joined radio, film, and magazines as major influence on youth. Later, the rapid growth of the video game industry and the internet contributed to the encompassing presence of the media. Today, opportunities for youthful expression about to the point where adolescents can easily create and disseminate content with little control by traditional media gatekeepers.